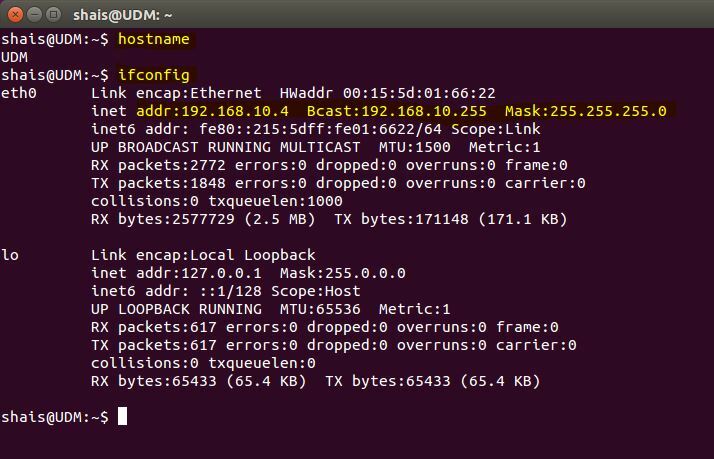 Network Ubuntu and Windows 10 at your home and use them side by side. Both can comply the standard users needs. I like to work with Linux and Windows at the same time and maybe you are. The popularity of Windows is more than Linux among home users operating systems. But nowadays the Linux desktops are also get popularized for end users. Specially my favorite Linux Ubuntu Desktop. In this article I’m going to simply create and network Ubuntu and Windows 10. However, we wrote about how to share files between Ubuntu and Windows 10. So get ready to create a network using Windows 10 and Ubuntu desktop. For Linux users, who don’t know the Windows 10 installation, read the bellow article, as well as Windows users that have problem with Ubuntu installation on their system. 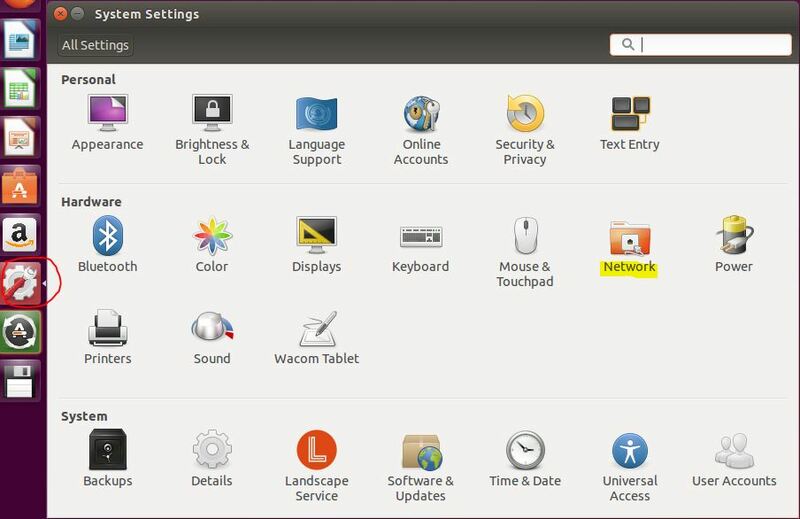 How to Install Ubuntu Desktop? To dual boot two operating system, read the install dual boot Linux and Windows article. Before sharing files and printer between Windows and Ubuntu, you must configure IP address and permission on Windows and Ubuntu. Let’s configure Ubuntu IP address and host name to be connect and reachable through Windows 10. 1. Login to your Ubuntu system. On the desktop click the Gear button to open System Settings. 2. On the System Settings page select Network under Hardware. The network card has assigned IP address by DHCP server from Wireless router. 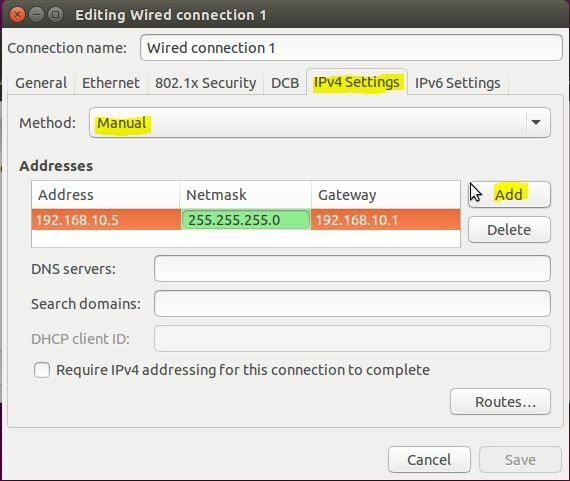 If there is not any DHCP server on the network, click Options to assign IP address manually. Note: To assign IP address manually, click Options on network page to open Editing Wired connection window. Now select IPv4 Settings tab and select Manual under Method then click Add button then type the IP address, Netmask and Gateway and click Save to apply the changes. 3. Close the pages and run the Terminal to check the IP configuration and host name. On the Terminal type “hostname” to display system name and type “ifconfig” to display network configuration. Everything is good. 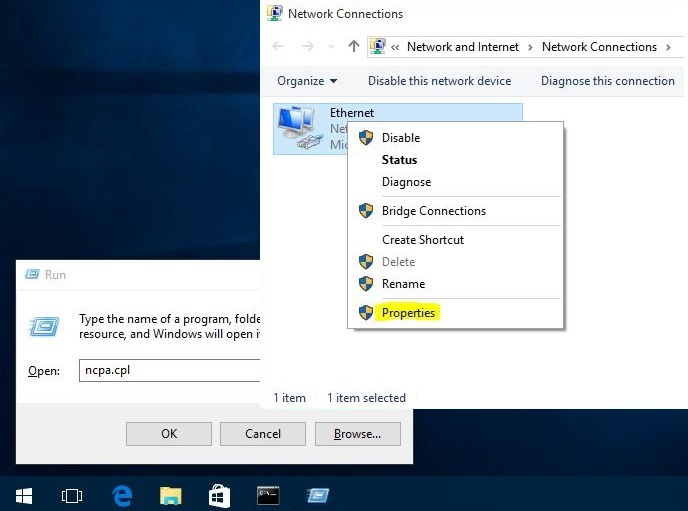 Now try to configure Windows 10 network. Do the same settings for Windows 10 also. Set IP address, check host name and enable network discovery. 1. On Windows 10 press Windows+R to open run. Now type “ncpa.cpl” to open Network Connections. 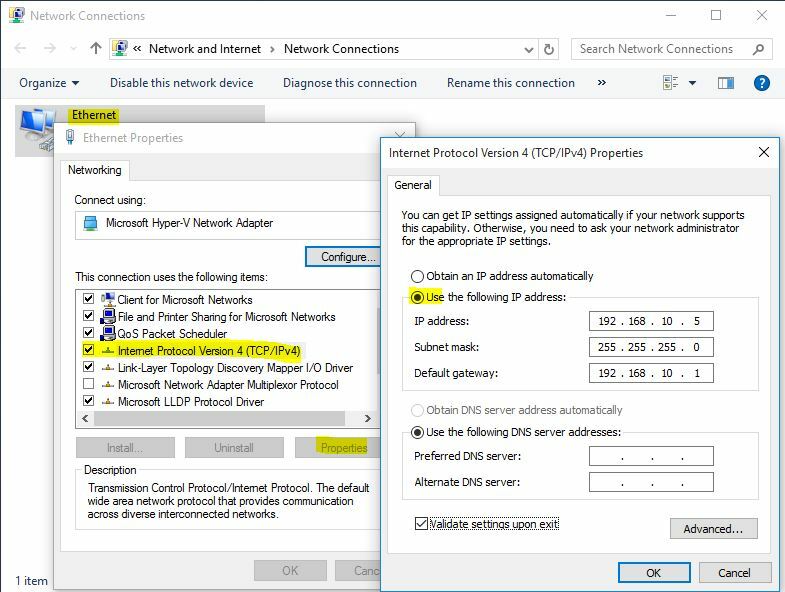 On the network connections right click the Ethernet and select Properties. 2. On the Ethernet Properties page, set the IP address manually like the below screenshot if you don’t have DHCP server. So the Wireless router assign IP address for my systems. 3. 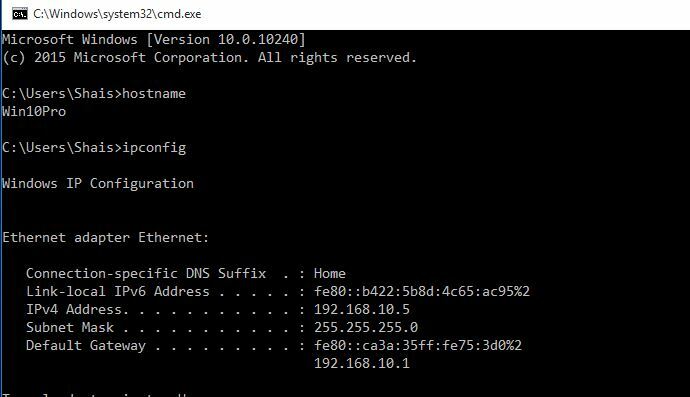 Open command prompt to check the Windows 10 IP address and host name. 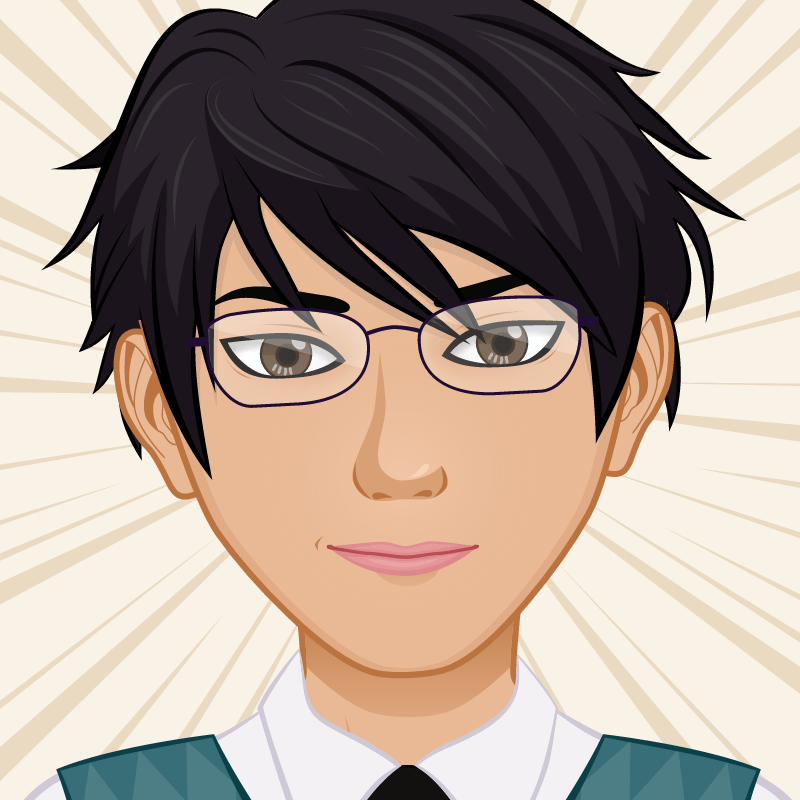 On the CMD type “hostname” and “ipconfig” to display IP address and computer name. 4. Open Network and Sharing Center from Control Panel. Select Change Advanced sharing settings from the left side of network and sharing center. 5. 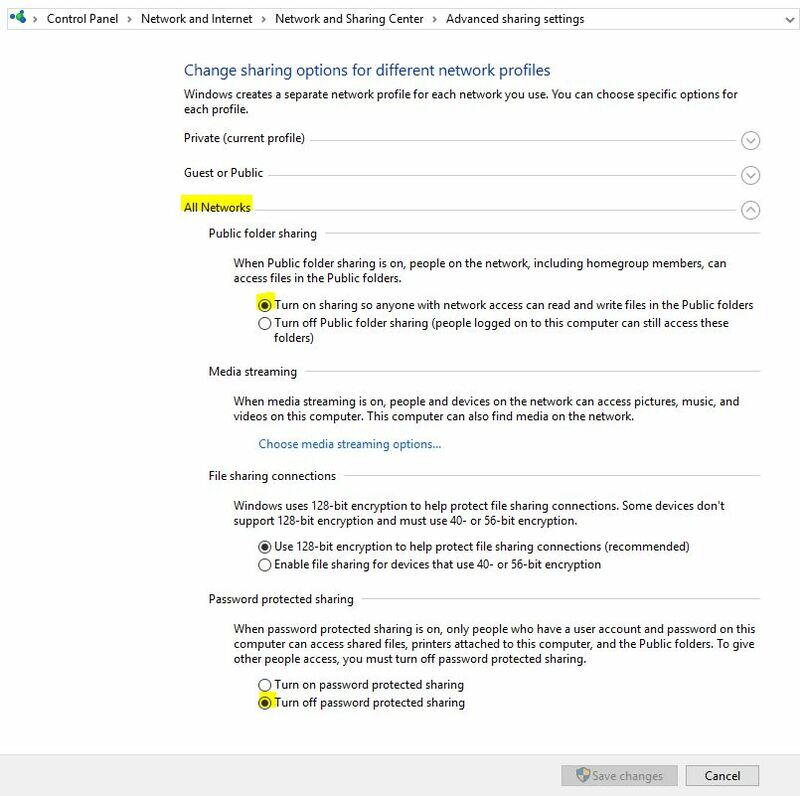 On Advanced sharing settings, expand All Networks and turn on public file sharing and disable password protection option then click Save Changes. 6. Finally close window and test the connectivity by pinging to Ubuntu system. Yes, then ping reply successfully. Now the Ubuntu and Windows 10 are connected on the same network. You can share files and printer between these two systems. Am attempting to network Windows 10 with Zorin. Have installed SAMBA on Zorin and set it up to share the \home\documents folder. 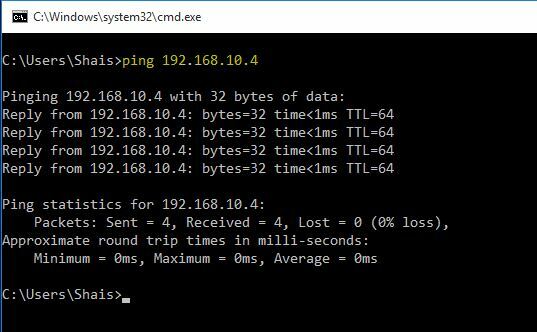 I can Ping between the two systems ok but when I select network on windows 10 File Manager the other PC is not listed. When I RUN \\192.168.20.3\documents I get an error notice. Network not found. I have the latest version of Windows 10 – Creators Update 1703 – build 15063.447. I have viewed and followed several different instructions I have found on your web site to no avail. Why did you manually setup one ip for windows and linux machine? This configuration will never works. Manual IP configuration is when you connect per-to-per. But when you have DHCP that clients gets IP address automatically, you don’t need to set IP addresses manually. DId this as described, all is well and can ping both computers, (using automatic DHCP) however the windows machine does not list the linux machine in the network. However the windows machine does show the printer, scanner, chromecast, router, and itself, just no linux machine. To list the Linux machine name on Windows network, just change the workgroup name of Samba to Windows workgroup name. When the Linux locate on the same workgroup, then Windows can display the Linux name on the network. Just let us know if you can’t solve the issue. This is the simplest way to network Linux with Windows system.